There are a large number of activities to keep your travel itinerary exciting and entertaining. ISPSD 2018 is glad to organize the following tours and activities for families and companions tours. Exact dates and method of reservation will be finalized soon. Founded in 1879 and located in Chicago's Grant Park, the Art Institute of Chicago is one of the oldest and largest art museums in the United States. Today their collection comprises approximately 300,000 works of arts — ranging from ancient art through to those created by today’s foremost artists. 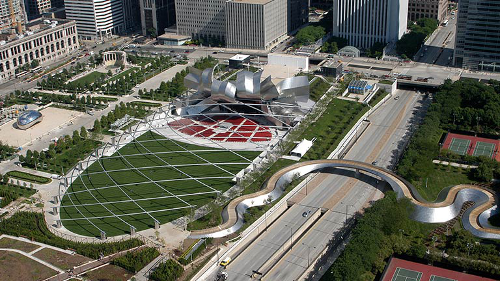 Below is a summary of some of the most popular attractions in Chicago. 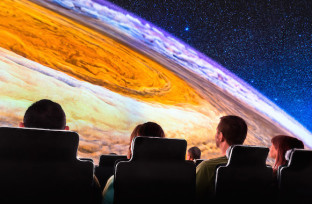 CityPass Chicago offers a bundled package for admission passes to some of these top attractions. For more information on the CityPass, or to make a purchase, please visit their website. Many of Chicago's popular destinations can be reached from open-top sightseeing buses provided by Big Bus Tours. Rides offer exceptional views of the city's most iconic landmarks and attractions. Hop on and hop off the bus at 14 different stops across the city. Information on fares and destinations of Big Bus Tours can be found on their website. Step outside the tallest building in the Western Hemisphere. 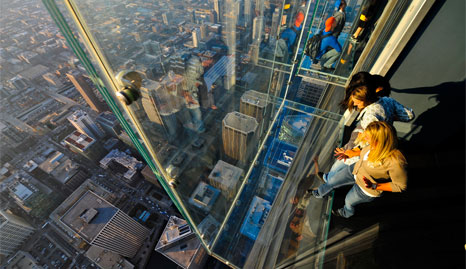 At 412 meters (1,353 feet) in the air, the Ledge’s glass boxes extend out 1.3 meters (4.3 feet) from the Skydeck. Offering spectacular views spanning up to four states, visit this one-stop Chicago experience full of interactive exhibits on the 103rd floor of Willis Tower. 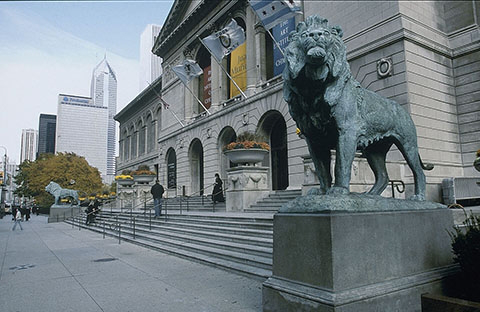 Founded in 1879 and located in Chicago's Grant Park, the Art Institute of Chicago is one of the oldest and largest art museums in the United States. Over the years the museum has stayed true to its founding mission: to collect, preserve, and interpret art of the highest quality from across the globe. Today their collection comprises approximately 300,000 works of arts — ranging from ancient art through to those created by today’s foremost artists. 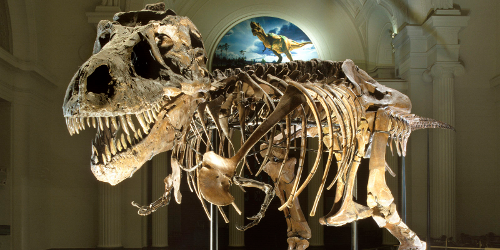 The Field Museum was founded in 1893 as the Columbian Museum of Chicago and has spent more than 120 years in the pursuit of scientific knowledge about the world around us. The Adler Planetarium, the first planetarium in the western hemisphere, opened to the public on May 12, 1930. Follow the Universe from its humble beginnings and see how galaxies, stars, planets — and all the atoms in your body — were created as the Universe grew. The mission of the Adler Planetarium is to inspire exploration and understanding of the Universe. 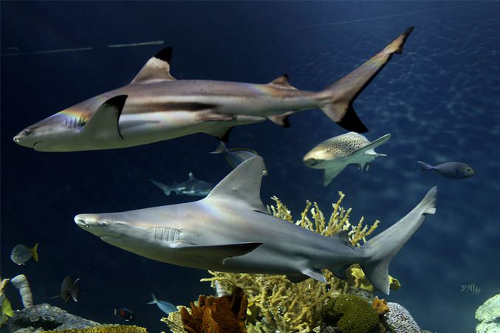 Shedd Aquarium is home to 32,000 animals. This one-of-a-kind aquarium has a dazzlingly diverse array of animals that inhabit freshwater, marine, terrestrial, and even aerial environments. Shedd combines the best of early 20th-century “age of aquariums” characteristics — a diverse, global animal collection surrounded by eye-popping architecture with 21st-century advances in animal care, environments, and interpretation. The Magnificent Mile in the Michigan Avenue District includes Chicago’s best attractions and more than 50 landmark structures. 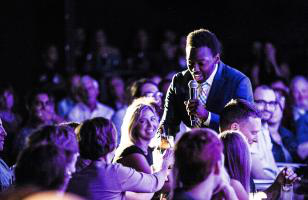 Enjoy a night out amidst dozens of comedy clubs, theatres, museums, tours, and shopping options. Whether you are sightseeing, enjoying the famous nightlife, or taking a tour of downtown by bus, boat or trolley, the infectious energy of the city will make it a trip to remember.